If the call to Queendom is tugging on you, I hope you'll answer and join me in exploring how the mountains you’ve moved and the lessons you’ve learned are a royal remedy for our ailing planet! You are a Queen sister, it’s time to bless your realm. Susan is a visual artist, expressive arts facilitator, and life coach from the San Francisco Bay Area. Like you, she has moved many mountains throughout her life and has made it her mission to use these difficulties to develop wisdom, empathy and grit. 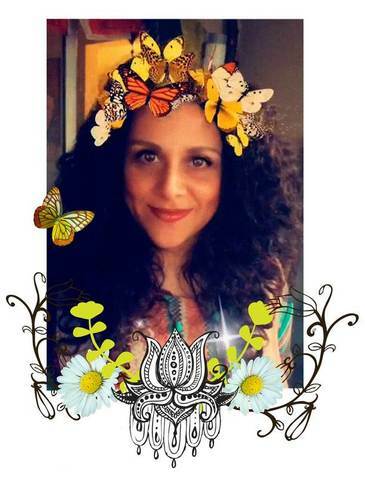 After multiple personal experiences of tremendous liberation and healing, she began what is now a ten year journey to develop spiritual, creative, and experiential practices which she calls “artful soulful” to support herself and others to move from pain to power. Among her creations is the healing curriculum Shadow and Substance (for women who are ready to make peace with their story and begin the beautiful journey of moving beyond their wounds) and the queen-themed retreat In Her Own Rite (a celebration of the queen in every woman). Susan’s greatest hope for women is that they will ROOT themselves in body and spirit, in community and love and RISE to claim their unique Queendom. I'm SO EXCITED you're joining us and can't wait to meet you!! Please fill out the form below so I know who to expect. This is a free workshop and I hope you find it enriching and transformational. In order for me to continue to participate in events like these and offer workshops and seminars for free, I do accept gifts of love in the form of donations.